Today we bring a game for a character that has not yet been presented offically. 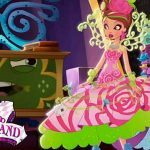 We just have seen her in some chapters of Ever After High and not as a main character for the moment. Is for this reason that we still don’t know much a lot of about Bo-Peep’s daughter. 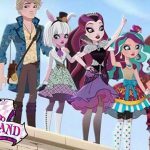 Anyway, here you can find its first dress-up game, because we always want to bring you the last news of Ever After High. We hope you enjoy this game full of new cosmetic and clothing options for this girl who is the daughter of the Little Bo Peep. love the song and her i hope she the main charater in eah . I mostly love the music and the clothes. Defintly the music!